August is the second most wettest month in Kathmandu, however, this month Kathmandu collected more rain than the month of July. It is not uncommon that Monsoon brings more rain during this month than the month of July in Kathmandu, which brings joy to farmers, and at the same time, it also causes water related disaster in Nepal, where disaster preparedness is virtually nil. Every year, due to floods and landslides caused by monsoon rain incurs damage to large amount of property and causes death of many human lives as well. August 4th and 23rd were the hottest days this month which recorded 31.2°C. August 18th, 2010 was the hottest August day in recent years with the maximum temperature of 32.6°C, whereas August 28th in the same year 2010, was the coolest day in which the mercury stayed within 22.8°C. The average monthly rainfall in Kathmandu in August is 319.6mm. The maximum 24 hours rainfall recorded in the month was 105mm in August 9, 2010. This month the total rainfall was 429.6mm, that is above the monthly average. 2002 August was the wettest August in recent year, in which the total precipitation amounted to 500mm. As of the end of August, Kathmandu received total of 1,623mm of rain, which is already about 150mm more than the average annual rainfall. Should the coming month, September, receive average monthly rainfall of about 200mm, year 2013 will be among the wettest year in Kathmandu in 35 years. Below comparison of August 2013 weather trend to past six years trend. Kathmandu, August 31 People in Kathmandu were shaken awake by moderate jolt at around the midnight of August 30th. USGS estimates epicenter of the earthquake of magnitude 4.9 was located at Chongdui in China. However, official of National Seismological Center of Nepal refutes the report and claims that whether the magnitude of the quake is bigger or epicenter is located much closer to Kathmandu. Official report of the earthquake for location of the epicenter and magnitude still not published, where as the official website of National Seismological Center is inaccessible for some technical reason at the time of posting. 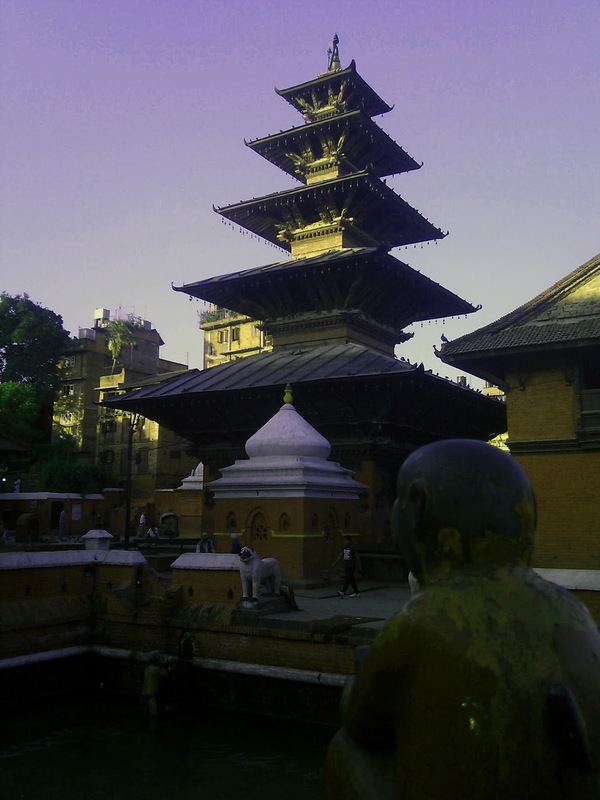 Q. for "Know your Kathmandu" for the month of Bhadra.